Come unto Me, all ye that labour and are heavy laden, and I will give you rest. Take My yoke upon you, and learn of Me, for I am meek and lowly in heart, and ye shall find rest unto your souls. Therefore did my heart rejoice, and my tongue was glad, moreover also my flesh shall rest in hope. Let us labour therefore to enter into that rest. Do not get tense. Have no fear. All is for the best. How can you fear change when your life is “hid with Christ in God.” Hid with Him Who “changes not.” Hid with Him Who is “the same, yesterday, today and forever.” You must learn poise O soul – balance and composure, in a evil and vacillating world. Claim My power – the same power that healed the leper; he same power that raised the dead; the same power that cast out demons – the same power that saved your soul. I can do all things through Christ, Who gives me the strength, but without Me ye can do nothing. So claim My power – through Christ. Ask My wisdom – and you will receive. If any of you lack wisdom, let him ask of God, Who giveth to all men liberally, and upbraideth not, and it shall be given him. Use it – for if not it will be withdrawn, and use it ceaselessly. In all things by prayer and supplication – with thanksgiving. 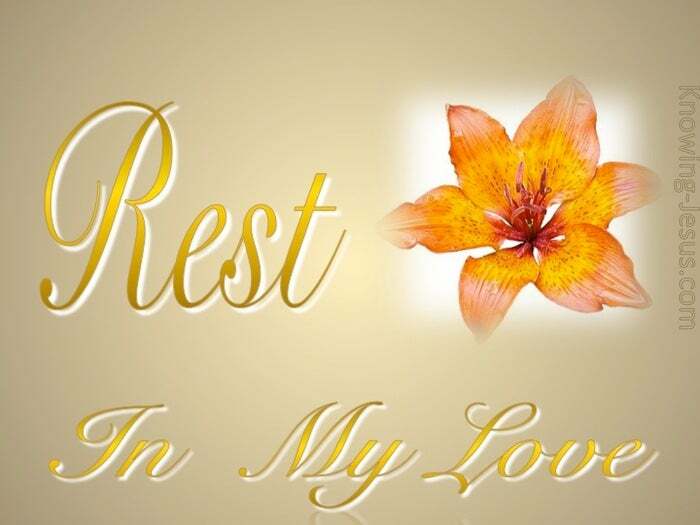 Rest in the Lord. Never think that you are too busy to rest. Come to Me to replenish your weariness. Come to me at the start and end of each and every task. No work can be too much if you rest in the Lord. No work is too little to rest in the Lord. My joy I give to you, for the joy of the Lord is your strength.. so live in it. My peace I give to you. My peace I leave with you – live in it. 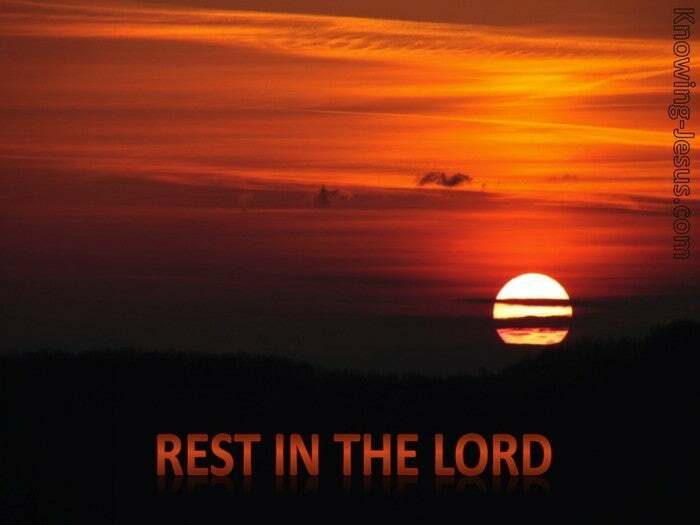 Bathe your spirit in it.. reflect it.. and rest – rest – rest in the Lord.